1) What are your own origins, Jason? My name is Jason R Long, and I am originally from Doylestown, Pennsylvania, although I got educated in art at the Ringling College of Art and Design, based in Florida. After graduating with a bachelors in Illustration, I then moved out to California and started working as a Toy Prototyper. I have always adored comics though, and my favorite medium is black and white ink work. 2) What inspired you to create ‘Rising Sun Comics’? Rising Sun Comics was originally created by Jamar Miller in 2008 as a non-profit GI Joe comic book website. He wanted to create content with other fans of the Joe universe and share it with the world. Under his guidance the site created over fifty full comics and we still produce fan content to this day! 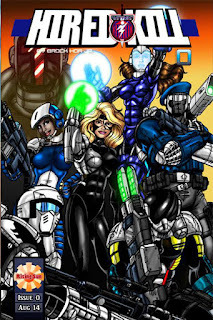 In 2013 Rising Sun Comics was relaunched by Hawk Sanders with a new objective for creating new and exciting content driven by the artist creating it. 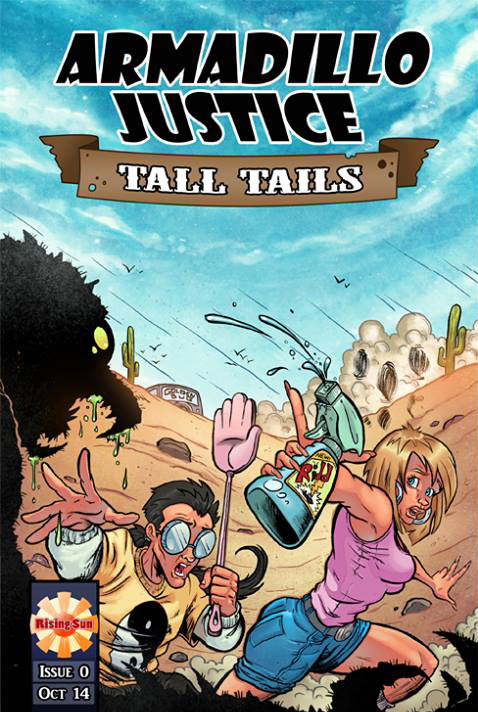 I started out as an inker for our book, Armadillo Justice. I then moved up to the position of art director and finally CEO. Hired Kill: In the distant future there is a constant power struggle between technology and politics. 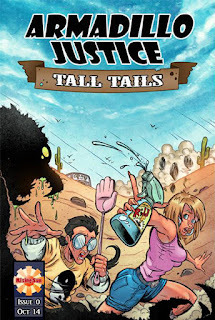 Read on as humans and mutants alike struggle to find balance in this action packed comic. 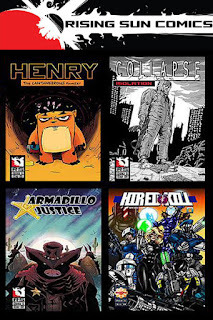 Armadillo Justice: Armadillo Justice follows our heroes, Curly, Billy Bob, and Billy Rock, after they crash land on earth. Now these comical space armadillos must defend their new found home from the evil 'Ant Empire' that plans to colonize the world! Henry The Cantankerous Hamster: Henry is a simple hamster killing machine, trying to steer clear of the greatest war the sewers have ever seen. Collapse: Twenty years ago, nuclear and biological warfare ravaged the planet. Now, a sheltered group of humans are forced into the outside world to face the reality of their new lives and the mutated humans who now roam the surface. 4) What song would you say best represents your style of comic book? Any song by The Darkness. Singing from your heart, electric guitars, and not taking yourself too seriously. Rock On!! 5) If you could get a celebrity – either living or dead – to promote your wares, who would you choose, and why would you want to choose this particular person? Dwayne “The Rock” Johnson. He has a very magnetic personality and I'm sure he could sell the hell out of anything. I also would just kinda wanna hang out with him. 6) What have you learnt about yourself through this endeavour? What I learned most about myself working for and with all the people at Rising Sun Comics is that I love working in a community of artists. I end up working at home a large portion of the time and when I was freelancing for toy companies and doing labels my art kind of stagnated. Working with other artists does influence me to do my best and to keep on learning. I am taught just as much as I teach. 7) During your time in this field, what is the one thing that has kept you in good stead? The thing that has kept me going during my time working in the comic industry is all of the amazing art and story telling that the community produces. The work of great artist like Sean Murphy and Sergio Toppi, and awesome writers like Dan Abnett and Alan Moore, keep me striving to create something everyone will love. 8) If ‘Rising Sun’ had a motto, what would it be? “Funny or Serious, let’s make it Awesome!”. Sounds good to me, dear reader. Doesn't it sound good to you, too? Yes! So what are you waiting for? Please check out Rising Sun Comics by clicking on their website, facebook, and twitter pages. And while you're at it, don't forget to pick up some Rising Sun Comics On Amazon.